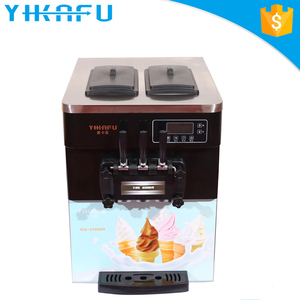 soft ice cream machine/ice making machines maker home made Parameters: Model WX-818T Motor 220V/50HZ Power 1800W Output 18L/h Machine size 600X430X680MM N. I ce cream powder and water mixing ratios: 1 : 3, an ice cream average weight: 60 g, 1kg cream ice cream powder to do about the number: 66 pcs 2. there are 3 discharge holes,two flavor and a mixed flavor , the intermediate outlet is mixing colors and mixing flavors. 3 . Note: We provide the recipe and operate video. is an integrated manufacturer which includes research and development, production and sale for commercial refrigeration equipment. 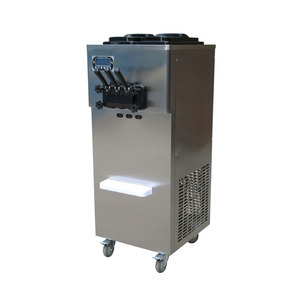 Our main products includes ice machine, soft and hard ice cream machine, fried ice cream machine, fried yogurt machine, potato baker machine and juice dispenser. Our quality control starts from material preparation, through the whole production procedure and testing before packing. 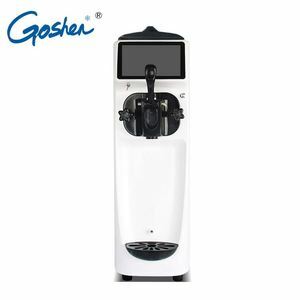 low noise and commercial use in ice cream machine , 3. 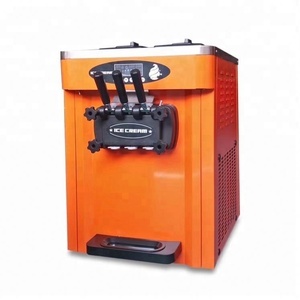 Condenser: fine copper condenser offers batch freezers with variable freezing and discharge speeds. The totally area is more than 18000m2 and have 8 Independent production workshops to ensure each product can produce in professional area. And our engineer and staff have more than 12 years experience in refrigeration and kitchen equipment . 5 YRS Guangzhou Miken Electric Manufacturing Co., Ltd. There is a industrial frequency converter inside this ice cream machine. 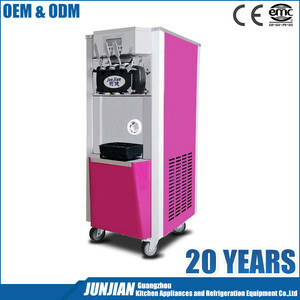 2.The parameter of ice cream machinery. 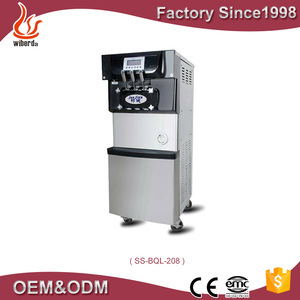 6.The finally products of ice cream machinery. 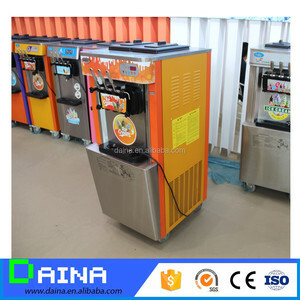 6 YRS Huangshi Dongbei Refrigeration Co., Ltd.
15 YRS Shenzhen Oceanpower Industrial Co., Ltd.
4 YRS Henan Green Machinery Co., Ltd.
Alibaba.com offers 41,446 ice cream soft ice products. About 9% of these are ice cream makers, 2% are other food processing machinery. 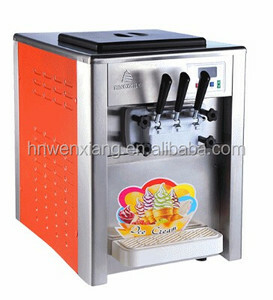 A wide variety of ice cream soft ice options are available to you, such as free samples, paid samples. 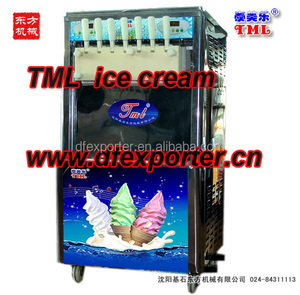 There are 41,446 ice cream soft ice suppliers, mainly located in Asia. 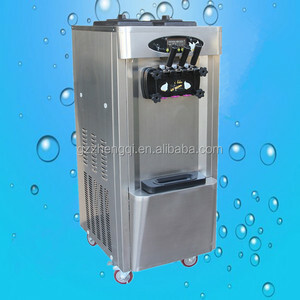 The top supplying country is China (Mainland), which supply 100% of ice cream soft ice respectively. Ice cream soft ice products are most popular in Mid East, North America, and Western Europe. You can ensure product safety by selecting from certified suppliers, including 10,684 with ISO9001, 4,570 with Other, and 930 with ISO14001 certification.